There are many ways to clean your oven. You could have used most of these ways or methods for so many times, but lo! you’re still cleaning it the same way. Now, having a tight schedule is certainly understandable. Alas, it’s everybody’s problem! But doing things properly does not necessarily mean prolonging the agony. For all you know it might even speed things up! On top of that, proper methods in cleaning devices can offer you one extremely valuable perk—extend your device’s service lifespan. Therefore, take the time to learn the proper ways. There are plenty of resources readily available for you if you know the right places to look. 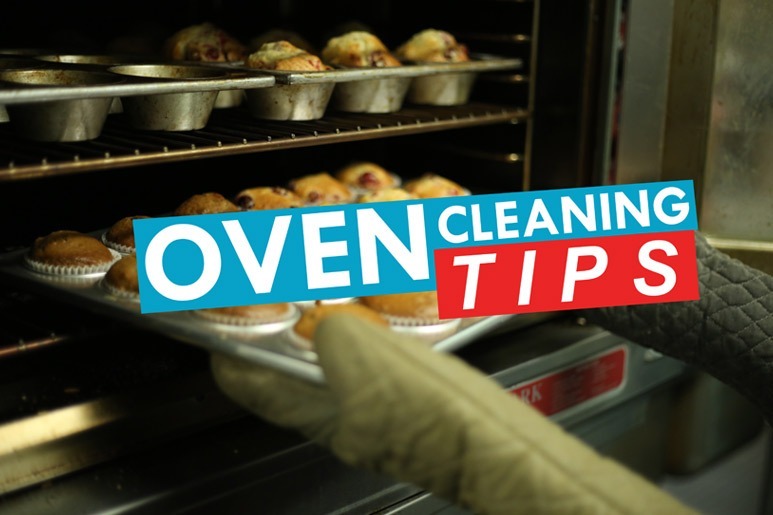 A great example would be this easy oven cleaning tips that we’ve prepared just for you. This method uses steam water to remove your oven’s greases and grimes. If you think about it, it’s fairly obvious how this is very effective in melting down the notorious greases and grimes. Nothing melts hardened food spoils better than extreme heat. Thus, why we are introducing this method as the first of our easy oven cleaning tips. The procedure to do it is very easy. Use an oven proof container, fill it with water and place it inside your oven. Turn on your oven and set the temperature to the highest level. Once the water boils, let it keep boiling for 20-30 minutes. The steam from this boiling water will melt the grime. Then, turn off your oven and allow it to cool down. Note: avoid opening the oven doors while it cools down. Finally, for a dazzling and brilliant result, wipe away all the loosened grime with a damp cloth. This method uses baking soda or sodium bicarbonate paste in removing deep oven residues and grimes. The baking soda breaks down these grime making it easier to remove. There are four smart and easy oven cleaning tips on how to do it: first, mix the baking soda with water, making it a paste and apply evenly to the walls of your oven. After the paste is evenly coated, place some vinegar in a spray bottle and spray it to the areas where you applied the baking soda paste. This helps produce a chemical reaction that effectively removes the grimes. Next, allow the applied mixture to set for an hour or so. And finally, remove the mixture off with a damp cloth to see the shiny finish. And for the last item in our easy oven cleaning tips gallery, we have ‘The Gumption Method’. It’s a special soap formulation method that breaks down grime and gives a thorough sparkling oven cleaning finish. The procedure is very quick and easy. Just add a castile soap to a damp cloth or sponge and wipe it gently all over your oven’s interior, especially where grime or baked-on food builds up. Then, using another damp cloth, wipe the gumption residues and grease off. This procedure leaves your oven with an exceptional cleaning outcome. We all have different methods in cleaning. There’s no such thing as an ultimate method for any task that we do. Getting the right results will all its benefits, on the other hand, falls down to experience, expertise and ingenuity. And when time really won’t let you do things properly, you always have the option to let the pros take care of it. After all, it’s what they do best. Want more cleaning tips for best cleaning results? Take advantage of our website services and blogs where you can find useful and relevant articles for all your cleaning needs and professional and reliable cleaners for all cleaning services requests. This entry was posted in House Cleaning and tagged Apartment Cleaning Perth, Home Cleaning, Maid in Perth, Oven, oven cleaning.